"Never be scared of Anyone or Anything. " The Emerald Supper Club and Cocktail Lounge, located in historic Chinatown, is a mix of old school vegas glamour with a little bit of anything goes attitude. NEED A SPECIAL PLACE TO HOST YOUR NEXT EVENT? Fill out the form below to book a table. For Private Events, connect with our Event Coordinator, Saya at 778-788-6120. The Lounge is perfect for cocktails, mingling and canapes. This section is for the true socializer in all of us! The Dining Room at The Emerald is moody, cozy and the perfect setting for any party needing something a little special. This room can be adapted to many different looks. The Main Stage is a great option for the midsize party that wants to feed off the atmosphere of the whole restaurant while receiving the VIP treatment. The Back Cabaret is the ultimate adaptable private event room. With it’s soundproof walls and it’s own private bar your event can be whatever you want it to be. We offer a wide variety of cocktails to suit any taste. 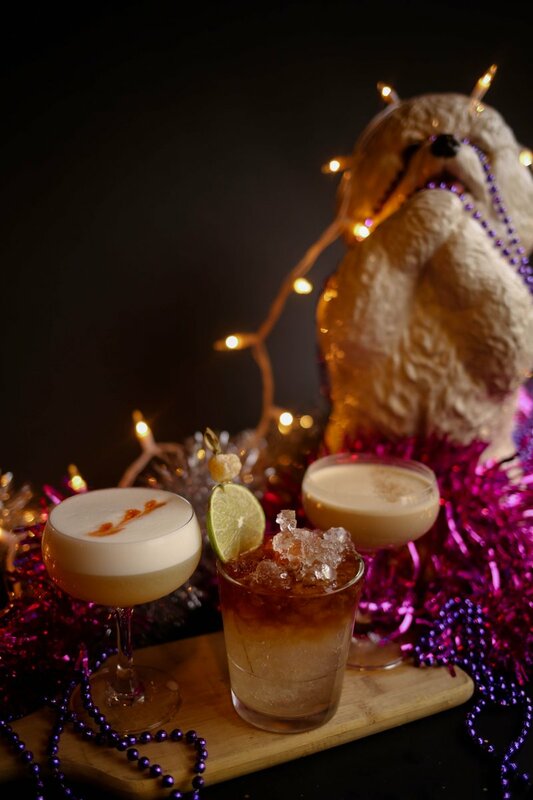 All hand made by or fabulous bar staff, our house specialties will blow you away. We start with only the finest liqueurs and mix in fresh ingredients to create memorable cocktails that will suit any occasion. Whether it's a sunny summer day or a cold winter night, we have a cocktail that will suit any mood. Come in and experience the warmth and talents of our bar staff. What people are saying about the Emerald! © 2019 The Emerald Supper Club. All rights reserved.